I ran into the need of Minify Filter – Revel Framework – Go Lang for my web application. 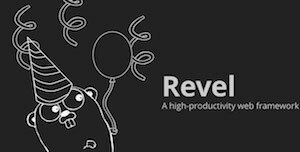 Then I started a discussion with Revel Framework Dev team for guidance. In the end I have developed the Minify Filter by referring framework revel.CompressFilter and shared with dev team. I would like share this minify filter with Revel Community. What Minify Filter would do? I have used tdewolff/minify library for minification of html content. Generated in 0.046 seconds. All date/time in UTC.